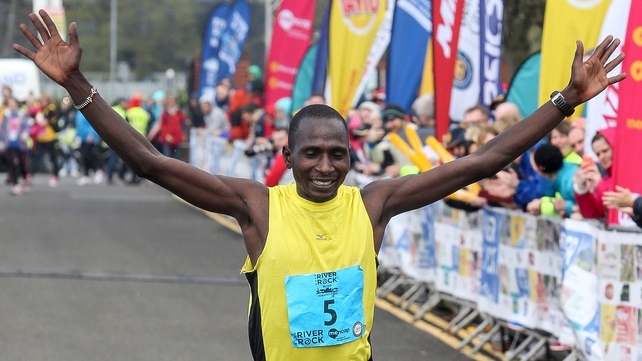 Kenyan Joel Kipsang Kositany won his third Belfast Marathon victory finishing in 2:17:39 to complete a Kenyan clean sweep. He broke clear towards the end ahead of his compatriots Eric Koech in second in 2:18:43 and Dan Tanui in third in 2:18:46. 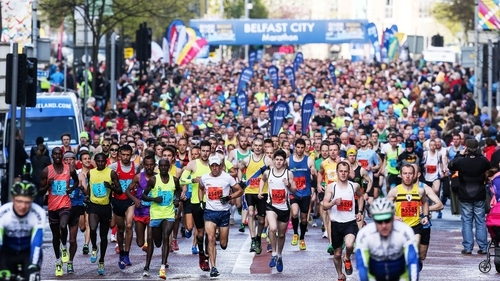 This was the 14th straight African men’s win in Belfast on a day when thousands of runners took part in the marathon, a team relay race, a marathon walk, a wheelchair marathon and a fun-run. North Belfast Harriers won the team marathon relay in 2:24:24.